Why no hockey goalie is destined to be slow. I admit it… I am slow. When I skied for the Yukon Territory team (yes, I lived in Whitehorse to train for skiing) we did dryland testing. One of the tests was a 100m, I think my time was around 17 seconds. I 100% remember our coach joking that he could have timed my teammate Annika and I with a sundial – – har har har… good one Coach! But give me time and distance to cover and I am not that bad – that, combined with a lot of time training, is how I was able to become a pretty decent varsity cross country skier. I am a distance animal for sure. I was okay with being slow. I thought it was my destiny. My trade-off for those slow twitch fibres that made me a good ski racer and later a successful rower. His name was Loren Seagrave and he was the strength coach to Olympic sprinters, hurdles and NFL players. Speed was his game. He was the founder of an athlete training facility called Velocity Sports Performance so when a franchise location was opened in my home town and I was hired as the Sport Performance Director, our paths crossed. I spent 2-weeks in Atlanta, GA learning the Velocity training system from with a group of other Sport Performance Directors. A huge emphasis was on speed and agility. It was the first time I heard this phrase from Loren, “speed is a skill and it can be taught”. Speed wasn’t just about natural gifts and genetics. It wasn’t about trying really hard to be fast. It WAS about technique and disciplined practice. 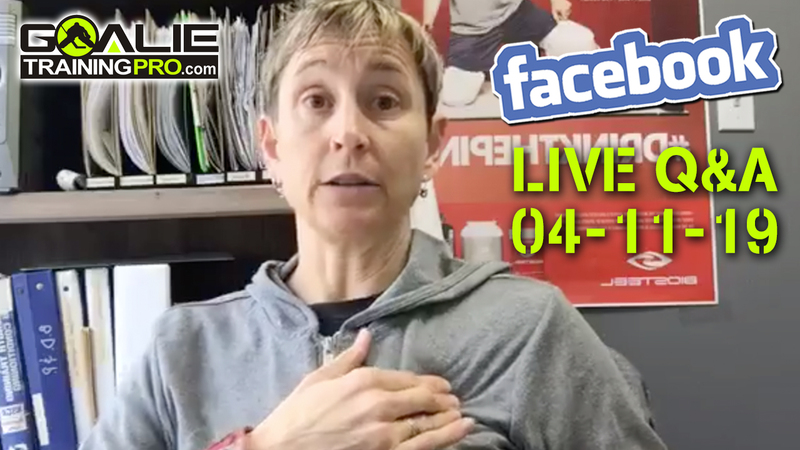 We learned speed drills, starting from the very basics – standing at the wall, working one leg at a time, correcting our position, our posture, our motor patterns. Then we learned more drills and more drills… and more drills. It was all foreign to me. There I was, the only female coach with a group of 16 former football players and track athletes who had these skills pretty much dialed in. I was awkward and … you guessed it… SLOW. So even day when we finished training around 4 or 5pm, I headed straight back to the motel, made supper and practiced those skills – standing at the wall, back and forth across the motel room (sorry to the sucker staying in the room below). When my technique got sloppy, I stopped to rest for 30-60 minutes, then came back to it. Rinse and repeat for days and days. I was faster. Not the fastest, but I could keep up with most of the guys. I could execute the drills with precision, with the proper force in the proper direction. I could FEEL that I was putting power into the ground – like when you feel your skate bite into the ice and you drive. It was amazing. Speed really is a skill. Here’s the point of this story. You may never be the FASTEST, but there is no excuse to be slow. You too can practice the skill of speed as part of your off-ice goalie training if you know how to do it. If you are practicing the movements using proper technique, proper force and applying it in the proper direction. If you are practicing with discipline and with perfect reps. I am giving you two drills that you should add to your goalie training at least twice per week. Keep the volume low because you only want to be practicing those proper reps. 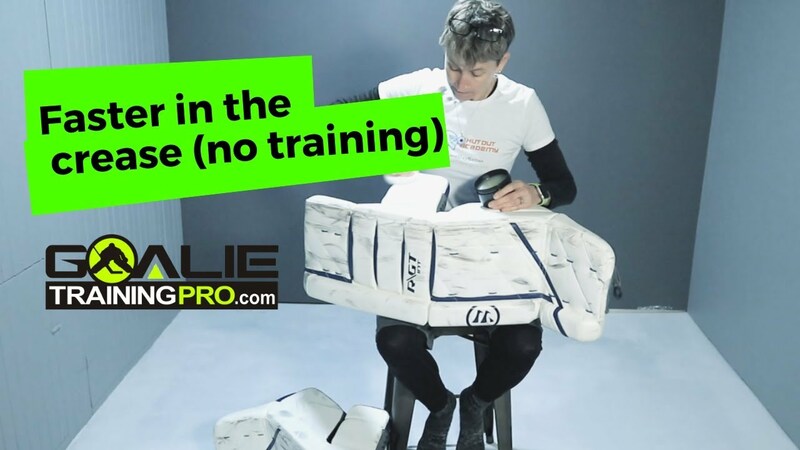 The purpose of these off-ice goalie drills is not to make you tired. It is not about conditioning or aerobic training. That type of training is for physiological adaptation, speed training is about skill. Where should your glove and blocker be? Approach this element of your off-ice training with a ‘beginner’s mind’. Forget the habits you have. You can keep the good habits, but re-build the movement from the bottom up. Think of it like you are just learning a brand-new musical instrument and how you would first learn how to hold it, then how to make a pleasant noise from it without squealing or buzzing. Then you would learn several individual notes before you put it all together into an awesome song. Even if you think your speed is pretty good; you feel like you are already playing a song on the ice… that song might me more “Row, Row, Row Your Boat” than “Bohemian Rhapsody”. And you don’t need speed like a sprinter. They run straight forward, there is no side to side movement, heck they don’t even think about stopping. You need to develop your speed like a goalie. You need speed that will translate onto the ice. It is okay to use some sprinting drills to learn how to fire your hip muscles quickly, to learn how to control your body and be more efficient, but the bulk of your speed education should be spent using drills like the ones I gave you above. Or you can get a system that is already designed for you. A proven system that leads you step-by-step through the process to not only be quicker and more dynamic on the ice, but also to give you the mobility, stability and stamina you need to stop more pucks, earn more wins for your team and be one of those consistent goalies every team wants.